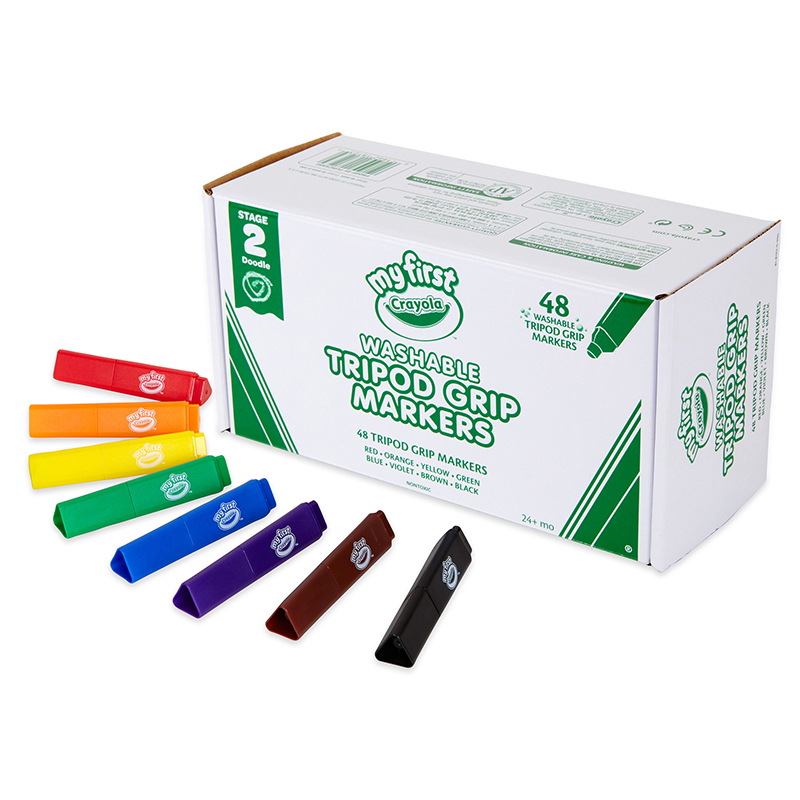 These Ultra-Clean Washable Tripod Grip Markers are perfect for the beginning artist. The triangular shape is easy to grasp while guiding little fingers to a proper writing grip. The triangular shape also prevents markers from rolling away and getting lost. 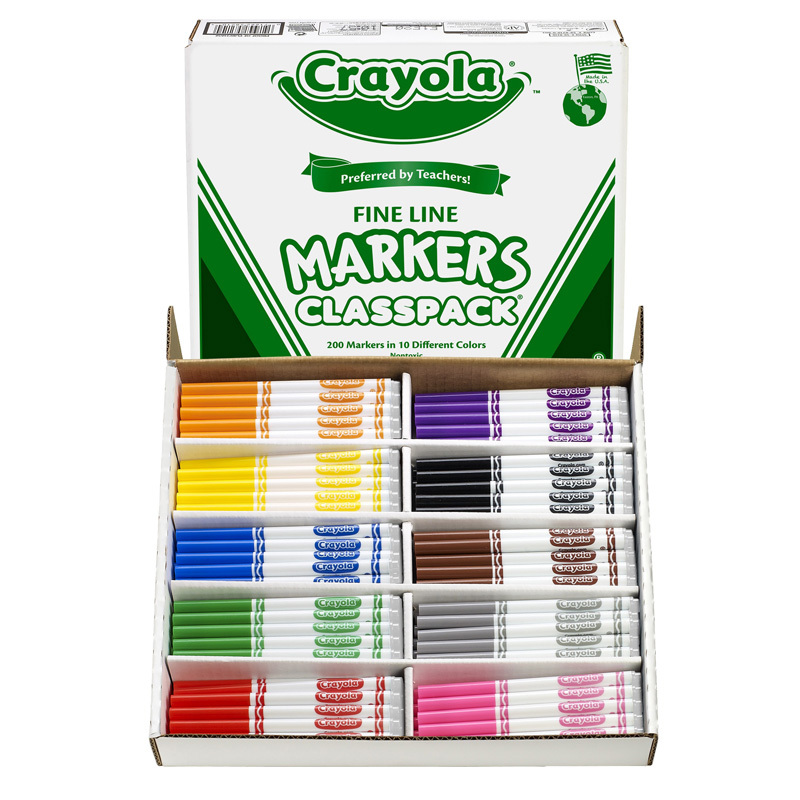 This My First Crayola Classpack includes 48 Tripod Grip Markers in 8 different colors with crush-proof gumball nibs that are formulated for easy clean up. For 24 months and up. 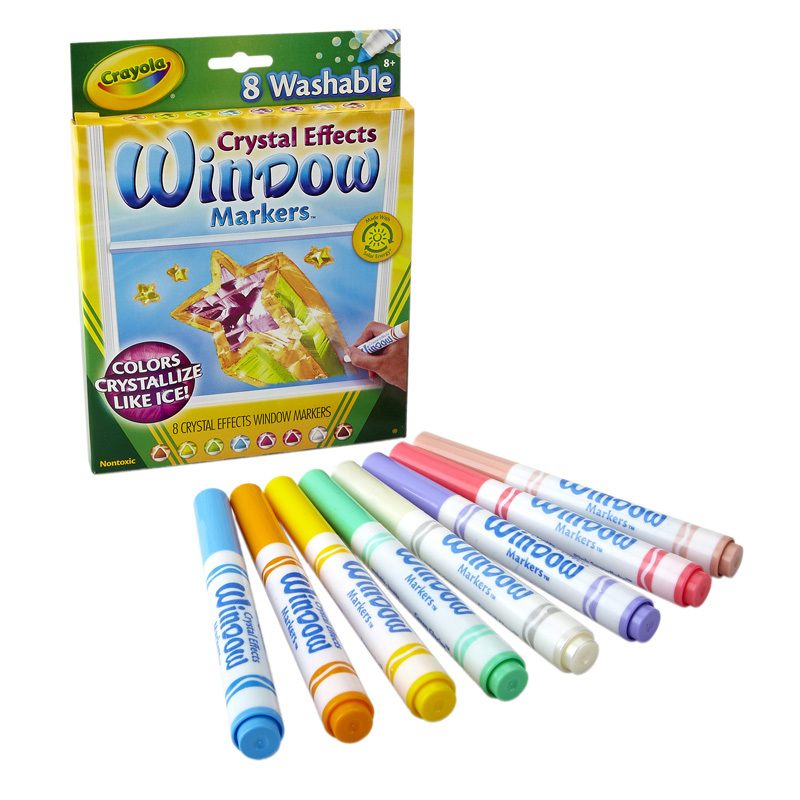 The Crayola Classpk Tripod Grip Markersmy First can be found in our Markers product category within the Arts & Crafts.